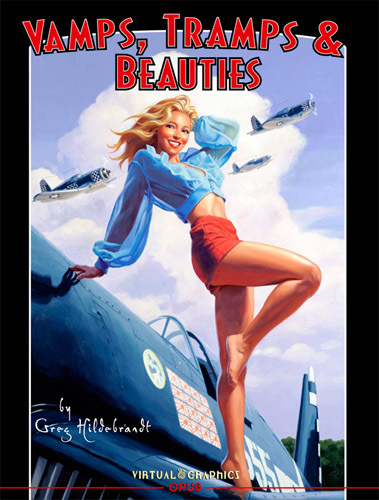 This beautiful compilation of Greg Hildebrandt’s American Beauties black boards is available NOW. The book is 72 pages, paperback. If you are a fan of Greg’s art and a lover of pinup, this is a must have for your collection. Hardcover copies of this book are SOLD OUT.